In the pivotal clinical trials that support FDA approval, nusinersen was administered via intrathecal injection. However, this approach requires that patients receive multiple intrathecal injections separated in time by weeks. During each infusion, the clinician must safely access the intrathecal space, which can be challenging in patients with SMA who have spinal column abnormalities. Indeed, investigators performing the CHERISH trial excluded older symptomatic SMA patients with joint contractures, severe scoliosis, gastrostomy, or mechanical ventilator dependence.1 Since spinal deformity and orthopedic instrumentation are common in older SMA patients, multiple intrathecal injections may preclude many patients from receiving the potentially disease altering medication. Fortunately, clinicians have recently reported an alternative means of administering nusinersen that appears to be safe and well-tolerated. Strauss and colleagues developed a unique subcutaneous intrathecal catheter that allows repeated administration of nusinersen.2 The hybrid infusion system combines two FDA-approved devices, and intrathecal infusion catheter and a power injectable implantable infusion port. The infusion port locks securely into the intrathecal catheter. Per report, the researchers made a 3 to 4 cm incision to expose the spine and then, under fluoroscopic guidance, drilled a hole through the existing spinal fusion to gain access to the epidural space. The catheter was inserted into the mid-thoracic intrathecal space using a needle and access was confirmed by the backflow of cerebrospinal fluid CSF. The surgeons then used an anchor to secure the catheter, which was then sutured to the deep fascia. The infusion port was subcutaneously implanted to an area of convenience in the chest wall, where it was anchored to the hard fascia. A tunnel was made under the fascia to the posterior wound to connect the devices. The surgeons documented CSF flow through the device before closing the posterior surgical wound. A surgical sealant-coagulant was administered via pressure injection to close the posterior bone hole and prevent leakage of CSF. Lastly, the fascia was also closed tightly in an effort to prevent CSF leakage. Once the catheter system was in place, 5 mL of CSF was withdrawn from the port and 5 mL (12 mg) of nusinersen was injected into the port. The port was then flushed with 0.5 mL of normal saline, and the anterior wound was closed. Patients were instructed to remain supine for two days postoperatively. It patients remained asymptomatic for an additional 12 hours of sitting upright, they were discharged home. Postoperative evaluations took place on day 14 to verify the placement and accessibility of the port. After numbing the area with local anesthetic and draping the area using sterile technique, subsequent injections of nusinersen were given through the surgically-implanted port. A non-coring needle was used for port injections. During these infusions, the port reservoir was flushed with 0.2 mL of normal saline and then 7 mL of CSF was withdrawn through the port (3 mL were discarded and the subsequent 4 mL withdrawn and sent for analysis). A 5 mL bolus (12 mg) of nusinersen was then infused followed by a 2 mL flush of normal saline. The authors point out that this 7 mL volume was withdrawn for purposes of the study, and would not be necessary during routine administrations. The Strauss group successfully implanted the catheter system during a single 1.4 hour surgical procedure (range 1.1 to 2.0 hours). No perioperative or postoperative complications were noted. During the four-week post implantation period, three adverse events were noted in three separate SMA patients. One boy suffered a urinary tract infection, one woman had back pain due to a protruding spinal rod, and another woman had catheter access problems. In this last woman, clinicians could not withdraw CSF through the port but could successfully and freely administer nusinersen. The researchers did note red blood cells in 7 of 9 specimens withdrawn from the intrathecal catheter system. The authors theorize that that these red blood cells arose from microvascular injury during suction or catheter adherence to pial/arachnoid membranes. For these reasons, the authors recommend using a 0.2 mL flush prior to CSF withdrawal to free these tissues for to withdrawal and infusion. The device appeared to be very well-tolerated. Importantly, no imaging or sedation was needed for subsequent nusinersen injections. Likewise, clinicians did not require special respiratory maneuvers, systemic analgesia, or cognitive distractions that are often required during traditional intrathecal injections. 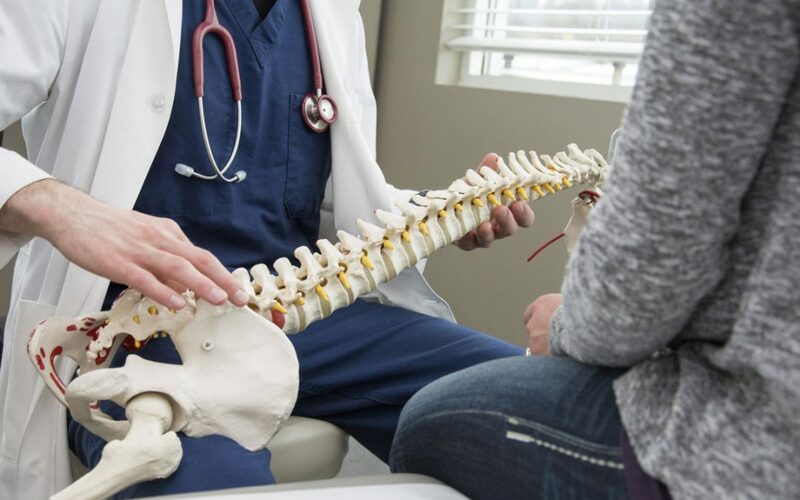 While the authors developed the novel subcutaneous intrathecal catheter system for use in patients with spinal pathology, they suggest the system could be beneficial for younger patients and those without overt skeletal deformity since it reduces the need for repeated intrathecal injection. Moreover, the authors argue that this approach is much more cost-effective than multiple infusions. Each outpatient administration of nusinersen through the port system cost $75 while standard lumbar puncture intrathecal injection is associated with hospital charges ranging from $5000 to $9000 per infusion. 1. Mercuri E, Darras BT, Chiriboga CA, et al. Nusinersen versus Sham Control in Later-Onset Spinal Muscular Atrophy. New England Journal of Medicine. 2018;378(7):625-635. 2. Strauss KA, Carson VJ, Brigatti KW, et al. Preliminary Safety and Tolerability of a Novel Subcutaneous Intrathecal Catheter System for Repeated Outpatient Dosing of Nusinersen to Children and Adults With Spinal Muscular Atrophy. Journal of Pediatric Orthopaedics. 2018;38(10):e610-e617.